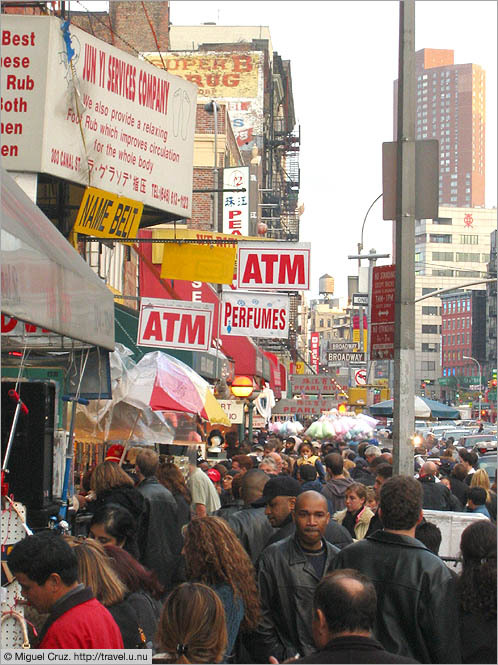 Chinatown is always bustling, and Canal Street is it main drag. This photo is taken near the western end, where oddball shops sell everything from incense to electronics parts by the barrelfull (if you ever need a 1983 RCA remote control, or a connector for an old antenna plug, or any other esoteric but once-common item, this is the place to go). Further east, the trade is more conventional, and the Chinese restaurants are thick on the ground.